Business between flipcharts and Race Karts, hp adventure and holiday in the Green Hell - the Nürburgring, opened in 1927 as a race track, attracts long since completely different target groups in the Eifel. Promis, pit stop and hp - fascination Formula 1. Glowing brake discs race through the night - pure emotion at the 24-hour race. Touring car in the DTM intoxicating speed. 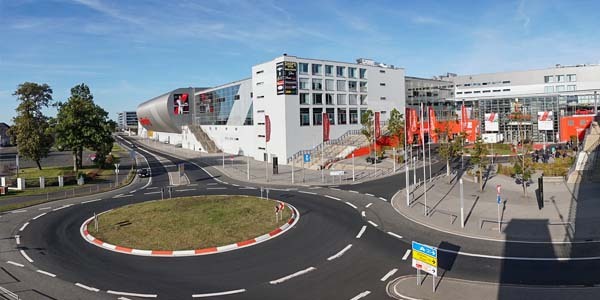 With a mix of more than 100 a year races and 200 other events, such as Rock am Ring, hp action for everyone and many interactive opportunities around the topic of motorsport has captured the hearts of fans and families by storm the world's most sophisticated, most beautiful and most traveled racecourse in the world. Traditionally rooted, yet modern, exciting or relaxing - the secret of the "ring" is the variety of ways: here come completely different interest groups at their expense. The Nürburgring is a track in the area of municipality Adenau in the Eifel, which was inaugurated on June 18, 1927. The original total to about 28 km long legendary "mountain, racing and test track" was in its original form until 1982 in operation. 1984 was opened at the same location at the time the "modern and safest Grand Prix circuit in the world". In the immediate vicinity of that time only about 4.5 km long Grand Prix circuit is still the 20.8 km Nordschleife. Both separate race tracks can be combined into one today to nearly 26 km of total track, which is used among other things, the 24-hour race. This circuit layout of the Nürburgring is now the longest permanent race track in the world. Furthermore, the Grand Prix circuit in the Sprint Circuit (short version) and the Müllenbach Circuit (southern part of the route) can be divided.